… how should “ethnic” australians respond? In her maiden speech, the Member for Oxley made remarks which appeared to offend persons of Asian and Aboriginal extraction. Ethnic community leaders have expressed outrage and righteous indignation at her comments. Meanwhile, the press and media are almost suggesting that Ms Hanson speaks for a silent undercurrent of “mainstream Australia” (whatever that means). Personally, I find Ms Hanson somewhat of a non-entity. She really doesn’t deserve the attention she is receiving. Her views are ill-informed and simply do not accord with present economic, social and political realities. But I don’t think that political correctness and labelling is going to be sufficient to deal with the points she has raised in her maiden speech. In this regard, I don’t believe certain ethnic community “leaders” have done great service to their communities by their reactions to Ms Hanson. What all Australians should understand is that there is a genuine constituency for the sorts of views which Messrs [Graeme] Campbell [former Federal Member for Kalgoolie] and Hanson espouse. This is a fact we have to accept. We also have to accept and expect that this constituency will want to be represented in Parliament. Australians of all persuasions deserve to find representation in our national parliament. Naturally, we would like to keep this constituency as small as possible. And yet by getting so uptight over Ms Hanson and by attacking her personally, some ethnic “leaders” are actually generating sympathy for Ms Hanson. In doing so, they are actually increasing the size of her constituency and the number of her supporters. Politically correct labelling is simply not going to work anymore. Australians are tired of the labelling of controversial individuals by their opponents. Most of us watched quite dazed and perturbed at the vicious treatment received by Helen Darville (though I was amused when a Ukranian organisation threatened Darville critics with action under racial vilification legislation). Desperate and immature labelling is simply not going to gain sympathy for anyone other than the person labelled. Last spring, I started a spring clean of my office. That was 2007. It’s now winter 2008, and I’m still at it. I’ve just pulled out an essay that I started reading years ago. Perhaps as long ago as 2002. 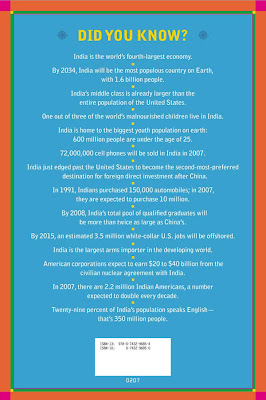 The essay is by Mira Kamdar and is entitled The Struggle for India's Soul. It was first published in the Fall 2002 edition of the World Policy Journal. The article is a reflection on the rise of religious prejudice in India, and how it is infecting even otherwise educated and tolerant middle-class Indians. It's a topic that I find very uncomfortable talking about, given my own SOuth Asian background. It's always hard to openly recognise and identify the log in one's own eye. Kamdar talks at some length about her "immigrant Gujarati father" who is "a liberal Democrat" yet at the same time "a supporter of Hindu fascism". She discusses how Hindutva as a political ideology has become a tool for those wishing to transform India into a religious state. Hindutva is the ideology of the Sangh Parivar, an amalgam of groups which includes the Bharatiya Janata Party, or BJP, now India’s ruling party; the Rashtriya Swayamsevak Sangh, or RSS; the Vishwa Hindu Parishad, or VHP; and the Bajrang Dal. The BJP plays the role of the moderate, mainstream entity, friendly to multinational capital and mature enough to lead India onto the global stage of the great powers, against the RSS’s frankly fascist youth corps activities, the VHP’s worldwide propaganda machine, and the Bajrang Dal’s street-level enforcement and terror gangs. I've been told by a number of sources that Liberal Party MP's and organisational officials regularly attend gatherings organised by the Australian branch of the VHP. ... the participation in the violence of large numbers of white-collar, educated men, and the presence of middle-class women, who screamed filthy insults at the Muslims and cheered on male attackers as they targeted members of the Muslim elite: business owners, academics, lawyers, former legislators ... In Ahmedabad, Ehsan Jafri, a poet and former Congress Party MP, was burned alive at his home, along with several members of his family, despite a series of desperate cell phone calls to the authorities for help. Kamdar acknowledges that extremists from all sides participate in such massacres. What troubles her is that such extremism is now becoming mainstream even in middle class circles in India. Kamdar wrote this essay in 2002. 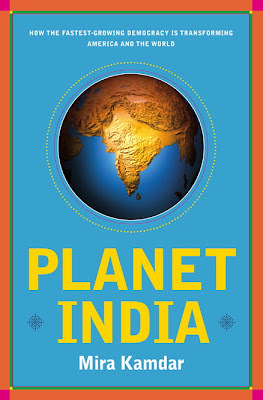 She has just released a book Planet India, and it would be interesting to see if she maintains the pessimism she felt some 6 years ago.